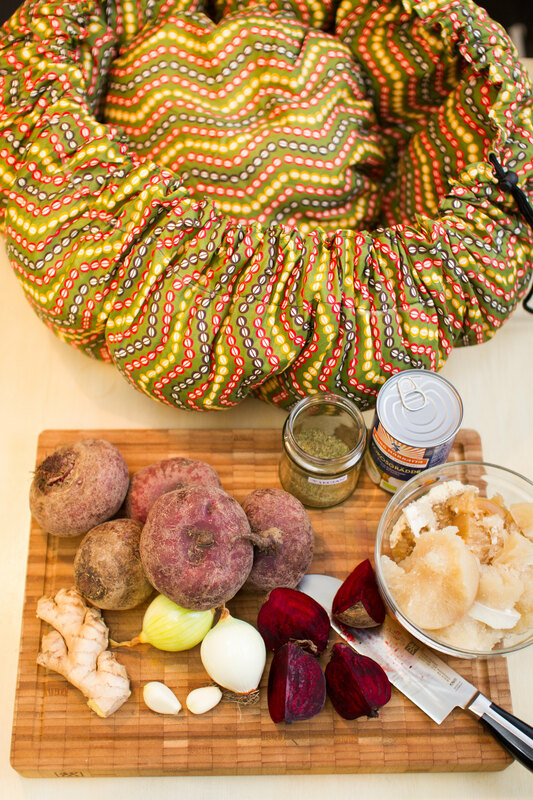 Here follows another amazing recipe of a stew made in the Wonderbag! This time our favorite meat, the oxtail, had to stand back for some beef cheeks. Not bad competition! That is something we haven’t cooked for several years since we have had trouble to find it. But now we were able to get some really nice cheeks from grass-fed cows, which were even better than we remembered them to be. So tender and loaded with fat. Beef cheek stew with steamed savoy kale and carrot. 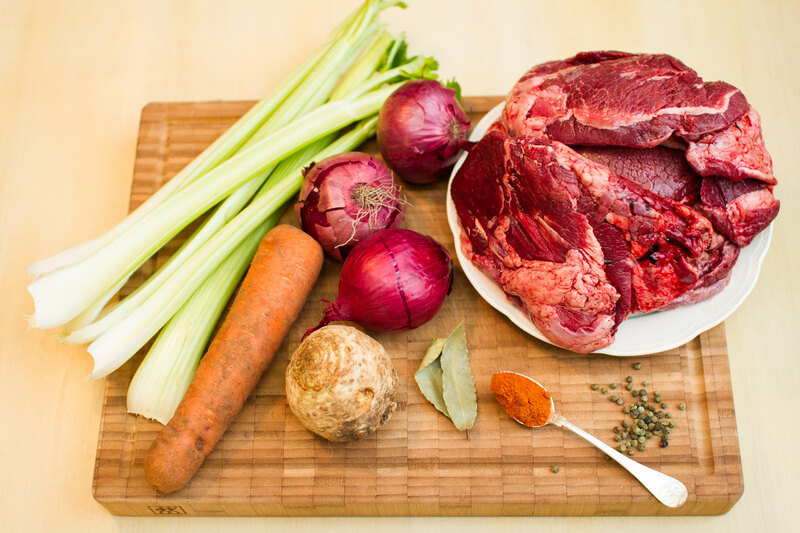 Ingredients used in beef cheek stew. Brown the beef cheeks on both sides in a hot saucepan with some cooking fat. Put the cheeks aside. Chop all the vegetables in small pieces and add to the pot. Place the cheeks back and add bone broth + water until all is covered. Add the seasoning and a splash of apple cider vinegar for some acidity. 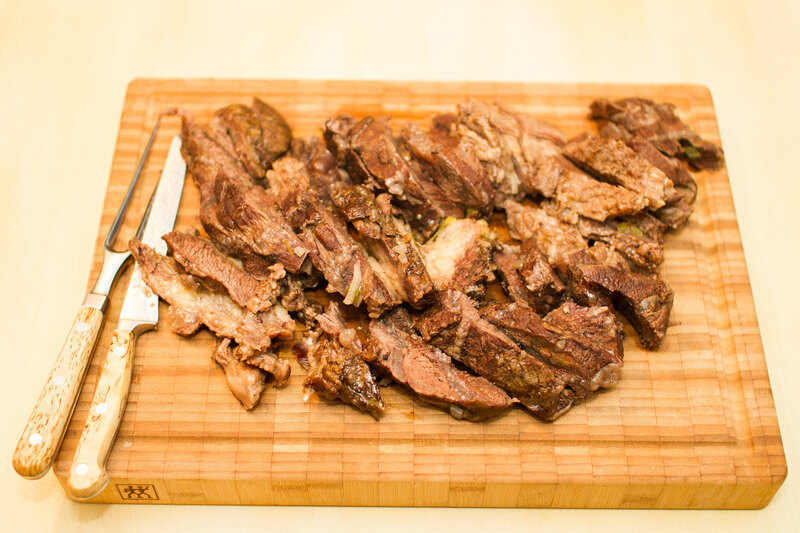 When ready, slice the meat and serve with the yummy broth. Beef cheeks cooked for several hours. The taste of the celery was a really nice complement to the meat and the bay leaves gives such a nice depth of all the flavors. 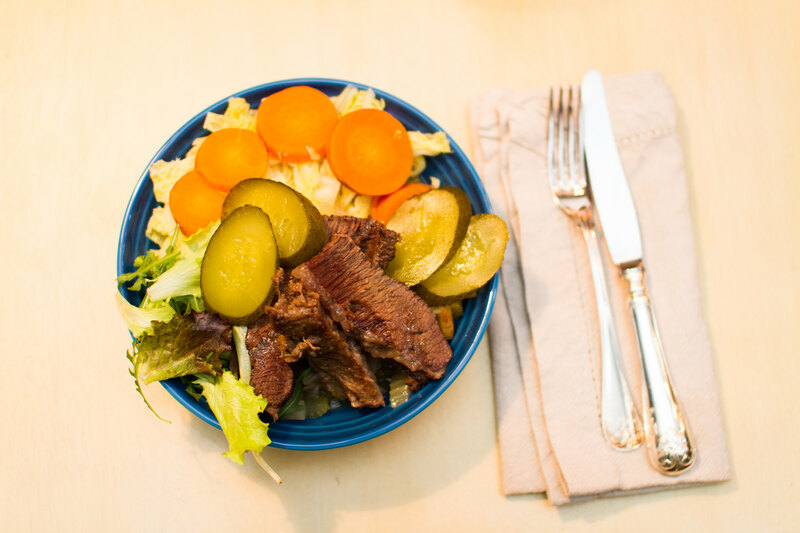 We had the stew with some steamed carrots and savoy kale and topped with soured cucumber and some greens. Turned out as a great dinner, with a glass of red wine to as well. Beef cheek stew served with red wine. Look at the color of this soup! 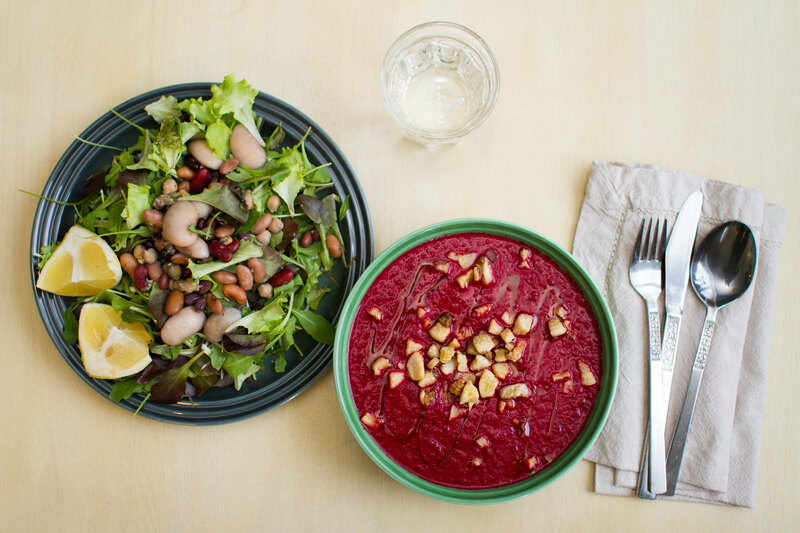 Red beets are so fun to cook with. 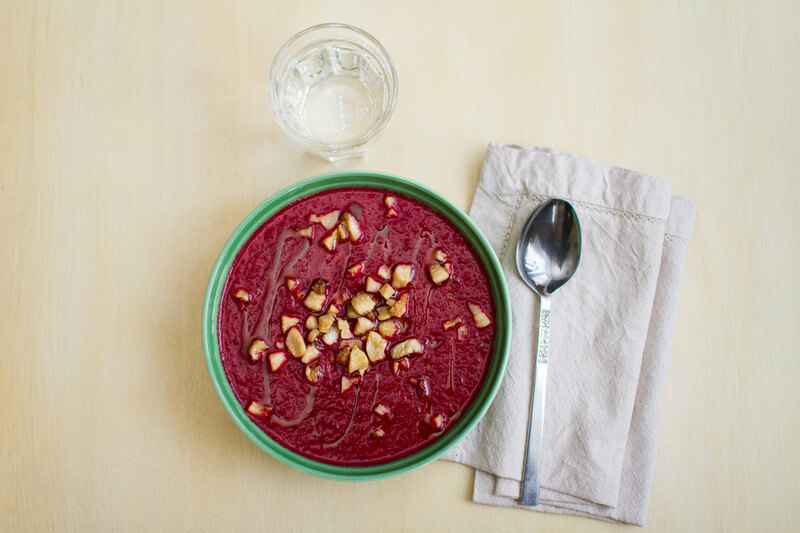 This is a red beet soup with ginger in to give some edge to it and some coconut cream to soften it. On top is some pork crumbles, which is leftovers from making lard. It is very nice to slow cook it in the Wonderbag to really let all the flavors evolve in the soup! Chop the onions and brown them slightly in some cooking fat. Chop the beets, garlic and ginger and add in the pot. Cover with coconut cream, bone broth and water if needed. Add thyme, salt and pepper. Let it cook for about 15 minutes and then place in the pot in the Wonderbag for 1-2 hours (or longer) until the beets are soft. Mix the soup into desired texture. I had some greens and soured beans as a complement to the soup. 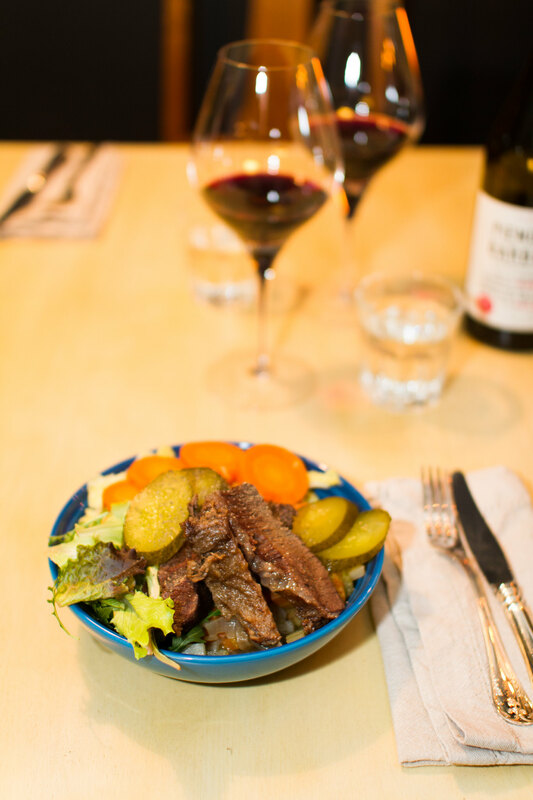 A delight dinner for any weekday! Time for some pretty green soup! 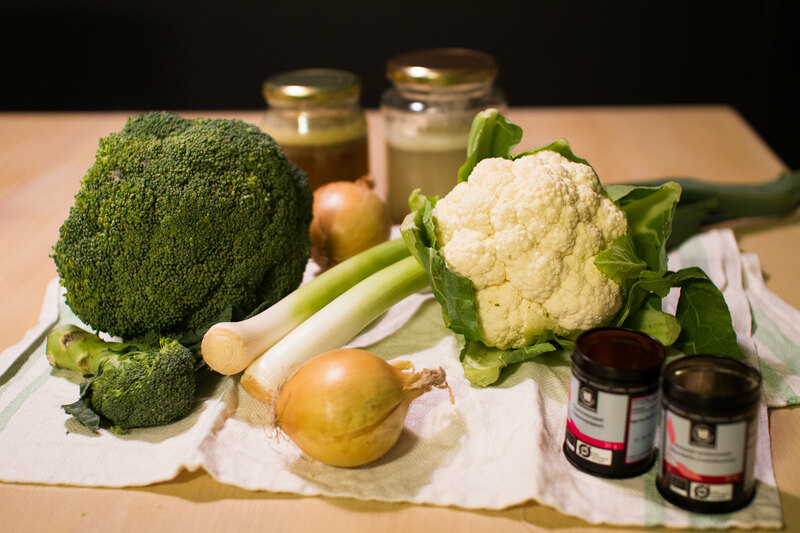 Broccoli, cauliflower, leek, bone broth… Spiced up with cayenne and cumin. If you have your bone broth, soups are so easy to make! Cook the broccoli and cauliflower in small pieces in a pot with bone broth together with ground cumin seeds, cayenne, salt and pepper. Meanwhile, chop the onion and leek and fry until soft in a saucepan with some cocnut oil or lard. 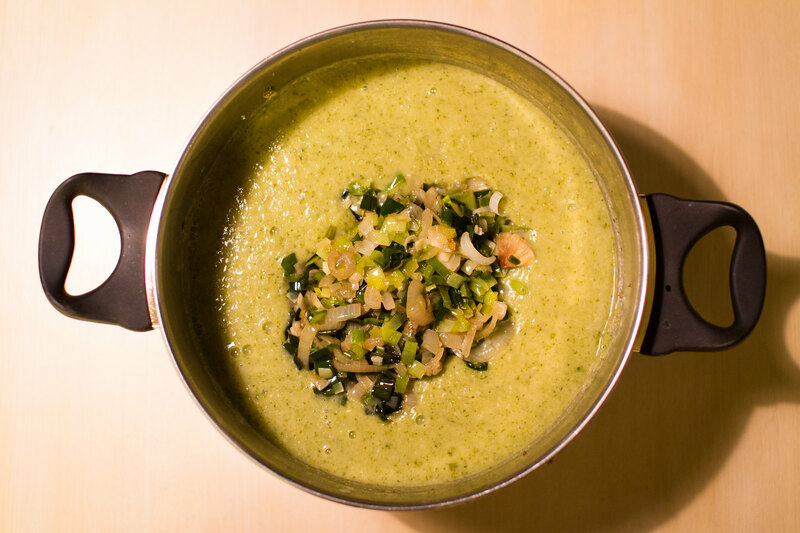 When the broccoli and cauliflower are soft enough, use a blender to make soup out of it. Add water to desired texture. Add the soft onion and leek into the soup and serve! 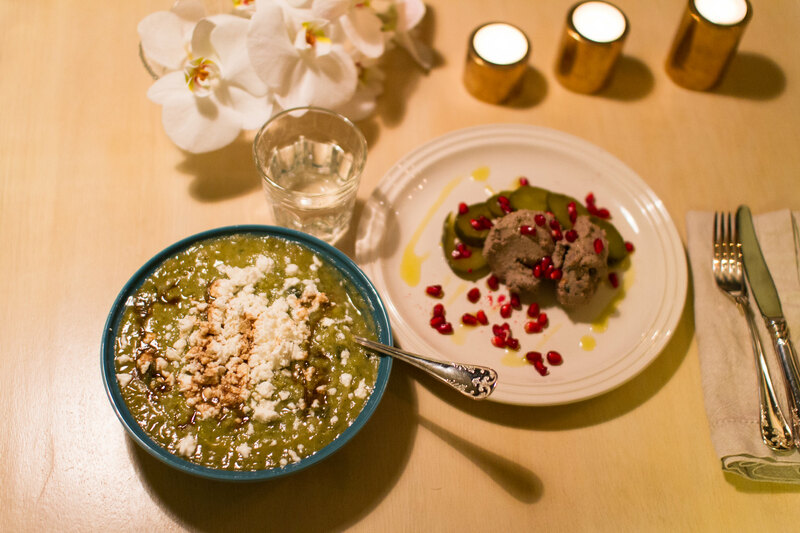 We had the soup topped with some feta cheese and balsamic vinegar to add some acidity. A plate with venison liver pâté is nice complement to it as well! 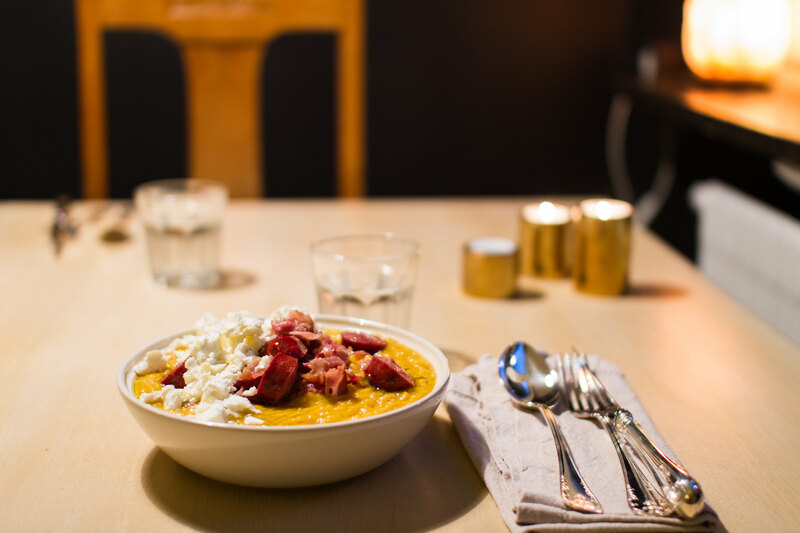 Creamy soups are so satisfying, especially now when its colder and dark in the evenings. This is another variant of a butternut squash soup, a slightly better one then the last one we did, I have to say. The difference is that the squash, onion and all nice spices are roasted in the oven before going into the pot. Dice the butternut squash and place in a baking tray. Top with sliced onion and all the seasoning. Sprinkle an even layer over the whole tray and pour over coconut oil before placing in the oven at 250°C for about 25 minutes. In a pot, heat up coconut cream and bone broth. Add the squash into the pot when it has become soft. Mix the soup into your desired texture. 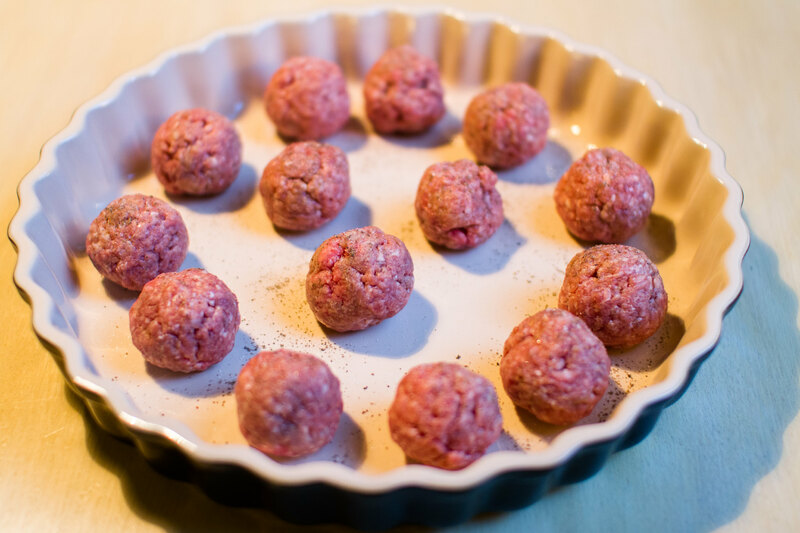 To get some protein to the meal we did some meatballs that went into the oven at the same time as the squash. Time and energy effectiveness! 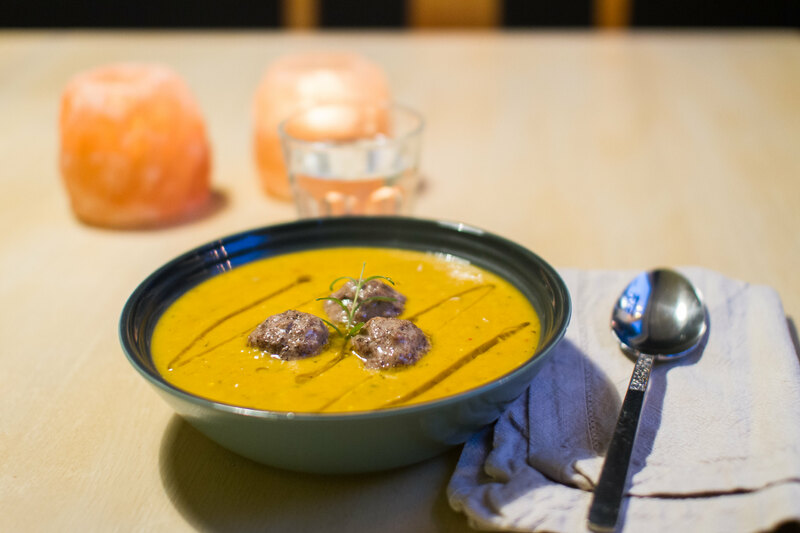 The soup served topped with meatballs, rosemary and olive oil. 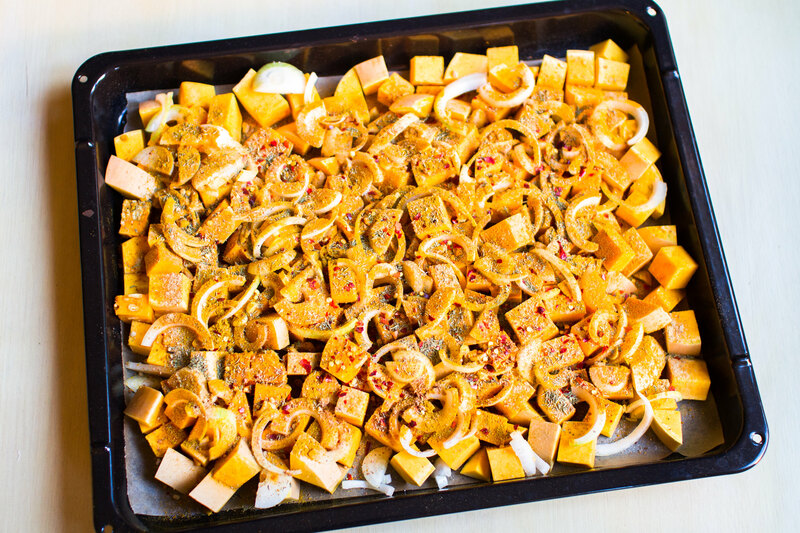 The richness of the butternut squash together with the curry and chili seasoning is so nice! 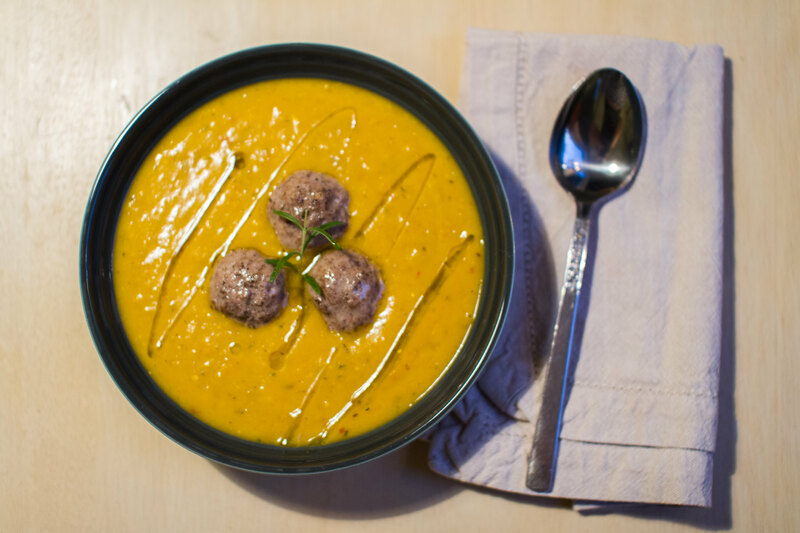 You need to try this soup! The grocery stores are packed with root vegetables and it’s starting to get cooler outside. Time for a warm, creamy soup! Bacon, wild boar sausage and feta cheese made a really nice topping to it. 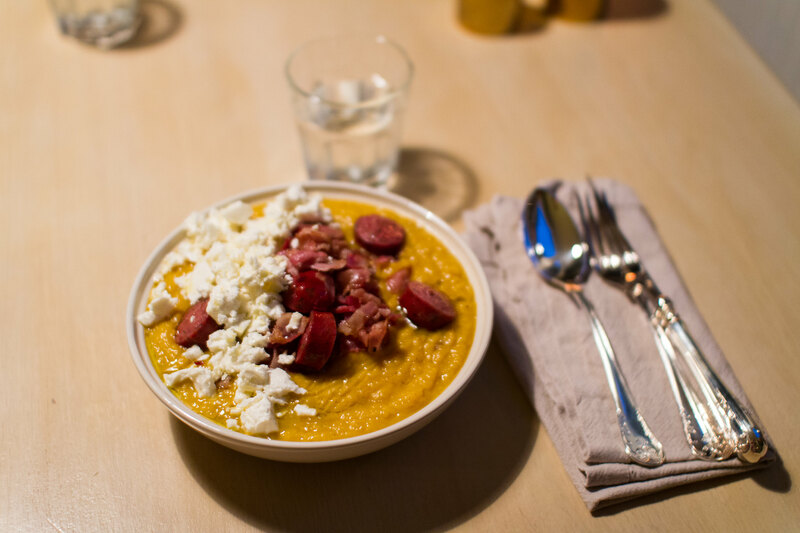 Butternut squash soup topped with bacon, sausage and feta cheese. 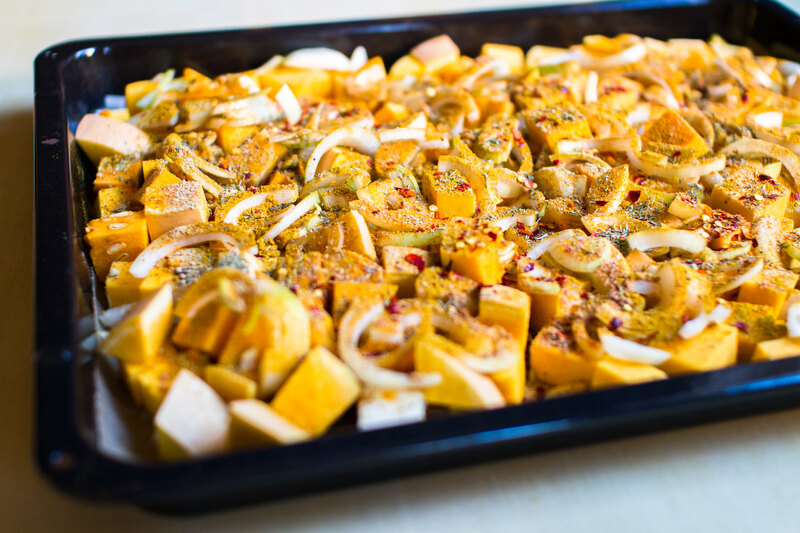 This one is based on butternut squash with some root celery and red onions added. The butternut squash makes everything rich and smooth. 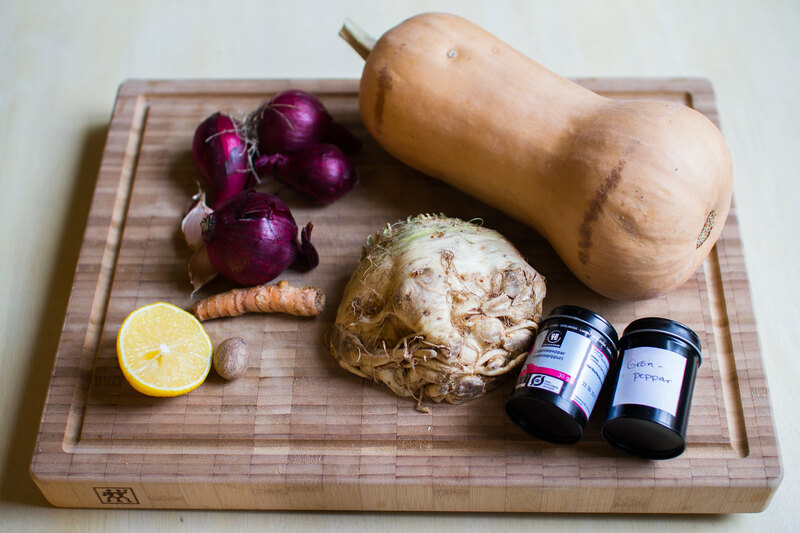 The vegetables and seasoning used in the soup. 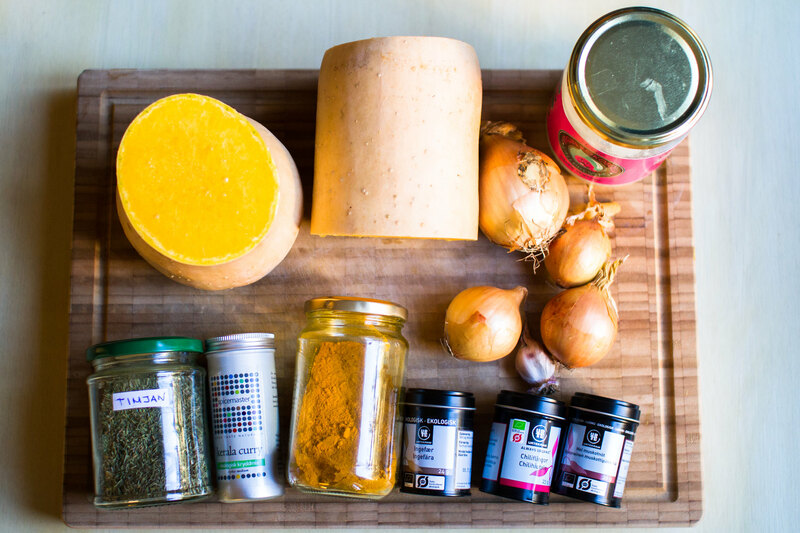 The rest of the ingredients used for the butternut squash soup. Chop and brown the onion in a large pot using coconut oil. Chop the root vegetables and let them brown slightly in the pot as well. Add the coconut cream, bone broth and water until all the veggies are covered. Let everything boil until the veggies are soft. 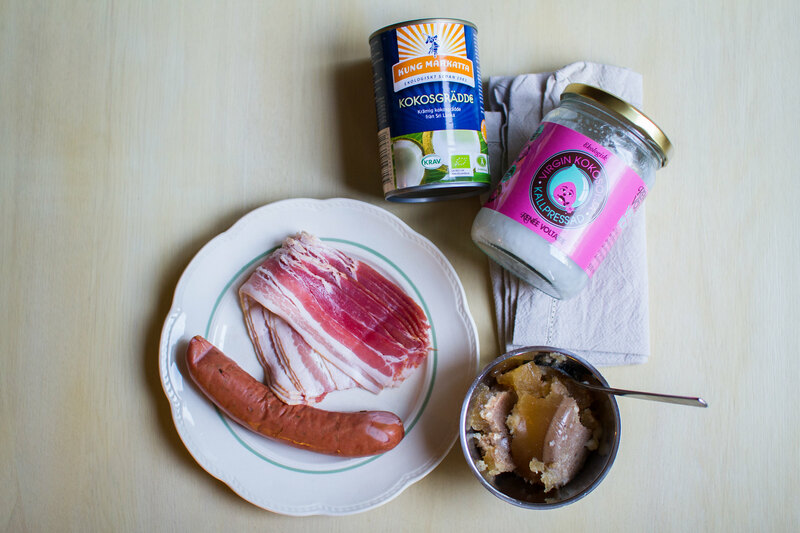 Meanwhile, fry the bacon and sausage in a frying pan. When the veggies are soft, use a mixer and mix it to your desired texture. We topped everything with some feta cheese and olive oil as well! Very tasty!